Choosing which food blogs to follow can be overwhelming. Scrolling through all those recipes and mouthwatering photos would take eons. And deciphering nutrition fact from fiction and personal anecdotes from expert-backed advice is no easy task. That's why we've highlighted some of the most helpful, beautiful, and next-level sources out there. The blogs below contain out-of-this-world recipes, insightful posts on diet trends, and realistic tips to help you eat smarter—whether you're Paleo, vegetarian, gluten-free, or just happen to love food. After her father had a heart attack, Erin Alderson (whose initials are ELLA) broke up with fast food and all processed meat. Her blog features seasonal vegetarian recipes that are pantry-inspired. Despite ditching Big Macs, Alderson doesn't believe in being obsessive or counting calories (her philosophy is simply to exercise and eat well). Given the results—beautifully photographed whole foods we want to gobble up immediately (curried vegetarian meatballs, we're looking at you! )—it's easy to see why her approach works. Few things are more disappointing than finding what seems like the perfect recipe only to click and learn that it has more than 20 ingredients, several of which you've never heard of. True to its name, Minimalist Baker keeps things simple by sticking to 10 ingredients or less and limiting cook time to 30 minutes tops. Bonus: The recipes are anything but boring! From General Tso's tofu stir fry (pictured) to spicy buffalo chickpea wraps to toasted coconut pancakes, the culinary duo (John and Kate) really know how to pack tons of flavor into simple and oh-so-delicious dishes. Food Heaven Made Easy sounds like the name of an amazingly delicious food delivery service, but don't be fooled. The blog is actually a compilation of recipes, cooking videos, and nutrition tips. Adorable and extremely well-dressed dietitians Wendy Lopez and Jessica Jones appear in every video, teaching home cooks (no matter how strapped for time or inexperienced in the kitchen) that making healthy recipes from scratch is possible. Back in 2003, Heidi Swanson launched 101 Cookbooks with the goal of cooking through her monstrous collection of recipe books. More than 10 years later, the blog (which we want to live in, it's so gorgeous) focuses on natural, whole foods and Heidi's travels. Naturally it has won multiple awards, been featured in countless publications, and even turned into two bestselling cookbooks. Her latest, Near & Far: Recipes Inspired by Home and Travel, came out in late 2015. The globe-trotting family behind Green Kitchen Stories is hardly stuck on one type of cuisine. David and Luise met while studying in Rome before moving to Stockholm to start a family. They document their vegetarian cooking experiments on the blog, and they believe variety is the most important thing in a diet. Don't forget to follow them both on Instagram; David's and Luise's accounts will inspire you to live and eat better every day. A self-taught cook, Sarah Britton started blogging in 2007 to share her knowledge of holistic nutrition. (She attended the Institute of Holistic Nutrition in Toronto.) She's passionate about whole and vegan food—and creates mouthwatering recipes that prove it. You'll find everything from chunky chocolate buckwheat granola to sweet potato noodle soup (pictured). We love that you can also pick recipes by season. Anya Kassoff was born and raised in Russia but now calls Florida home. She believes that the healthiest food is also the best-tasting food. Ant it doesn't hurt that her recipes, which are shot by her oldest daughter, are stunning. You'll find everything from a simmered squash soba bowl (pictured) to more indulgent dishes, like this rum and raisin bundt, which was inspired by a craving for her childhood favorite Russian rum babka. In 2015, Gena Hamshaw changed the name of her blog from Choosing Raw to The Full Helping. Now she posts recipes that are less extreme, although she is still inspired by her raw food background. Check out this gluten-free plum and blackberry crisp (pictured) or her totally addictive creamy cashew carrot dressing and quinoa bowl. As a certified nutritionist, Hamshaw brings lots of nutritional wisdom to the kitchen. She is also candid about being in recovery from anorexia and orthorexia and uses her site to encourage others to heal their broken relationship with food (often through plant-based diets). All kinds of mouthwatering, plant-based dishes (including chickpea, quinoa, and turmeric curry; coconut and raspberry mousse; and sage and apricot nut roast with cranberry sauce) are turned out in Ella Woodward's sunny U.K. kitchen. But not everything here is sunbeams and smoothies: This blog is the result of the author's struggle with postural tachycardia syndrome, a rare and devastating disease that prompted her to revamp her diet and ditch processed foods. Raw almond chocolate chip cookies, pumpkin spice latte granola, vegan tofu and cashew fried rice—workout fuel has never looked so good. Written by an avid triathlete and certified trainer, Running on Real Food covers nutritionally dense foods and fitness in a relatable way. Best of all, the author's healthy-eating philosophy is an open door: "There's no right or wrong way to eat healthy... We're all different with different nutritional requirements; however we all need to eat whole, nutritious foods. Start there." We couldn't have said it better ourselves. The name says it all: This blog is all about real food prepared with heart and soul. Vegan chef Jenné Claiborne's recipes look so indulgent and appetizing, we believe her when she calls one cookie recipe "life-changing." Recipes aside, Claiborne does an amazing job detailing all the ways her revamped diet has improved her life—from better digestion to thicker, healthier hair—carrying the banner forward for plant-powered peeps. Blogger Angela Liddon reclaimed her health by creating vegan recipes that are free of gluten and soy. But her creations also had to appeal to her husband, who, at the time, was "a devout fast-food lover" that "drank pop like water." Her efforts—recipes like smoky butternut squash sauce with pasta and greens; vegan Caesar salad; and sun-dried tomato, mushroom, and spinach tofu quiche—not only swayed her sig O, but a massive following of readers. It can be difficult to make vegan versions of classic comfort foods such as mac and cheese and pizza. But blogger and author Kathy Patalsky has created hundreds of beautiful and nutritious vegan recipes that taste like a million bucks (and not chewy or chalky meat- and cheese-free nightmares). Though some of her dishes can be a bit more complicated to make, there are plenty of options that even beginner cooks can master. Laura, the blogger behind The First Mess, is a culinary school graduate from Ontario. She's passionate about a few things: cooking with natural foods, eating seasonally, and sharing wholesome meals with the people in her life. Most of her recipes are vegan and gluten-free. Don't miss her the almond sweet potato biscuits and mushroom gravy and grilled butternut and radicchio pizza. Michelle Tam's pigtailed avatar appears all over her blog, giving helpful tips in speech bubbles, comic-book style. It's a little aesthetic clue that Tam marches to the beat of her own Paleo drum. Another major difference is her degree in nutrition and food science, which, paired with her serious foodie know-how, have made her the Paleo point-person for various gourmand publications, including Saveur, America's Test Kitchen, Serious Eats, and The Kitchn. Certain Paleo circles can be overrun with CrossFit dudes making terrible puns about "snatches," so Juli Bauer's decidedly feminine take comes as a breath of fresh air. Bauer raves about fashion finds as much as deadlift technique, proving this girl can beast with the best of them. Clothing and workouts aside, one of this blog's biggest draws is the simple, straightforward Paleo recipes, like sausage stuffed bacon wrapped dates and beef kabobs. And unlike some Paleo peeps, Bauer isn't opposed to a little sweet stuff, whether that's chocolate coffee protein chia breakfast bowls (pictured) or coffee cake. Emma Galloway worked as a chef for eight years before realizing that she suffered from gluten and lactose intolerance. She started blogging in 2010, sharing gluten-free, vegetarian recipes, as well as articles and tips on organic gardening. We can't wait to try her popsicle recipes when the weather warms up! This blog resembles the pages of a glossy food magazine with a fleet of stylists making sure every bite looks impossibly scrumptious. But behind the scenes, there's just one incredible couple, Sara and Hugh Forte. The division of labor is simple: She cooks and blogs; he photographs. The result elevates whole-food ingredients to epic proportions. Sandwiches, noodles, green salads, and other divine dishes have earned the attention of many in the food world, including Saveur magazine, which named Sprouted Kitchen one of the best original recipe blogs. Blogger Gina Homolka outlines a simple formula on her site: "Exercise + a well-balanced diet + good sleep = a happy life." And really, why complicate that? Her recipes for baked sweet potato skins and shrimp summer rolls with peanut hoisin dipping sauce prove that eating a rainbow of whole foods is pleasing to the eye, the palate, and the rest of your body too. Plus, Homolka has a sense of humor and isn't above trying recipes from the 50 Shades of Chicken cookbook. From snacks (high-protein mint chip energy balls, anyone?) to one-pot meals (Crock-Pot chicken quinoa enchilada soup, please), this blog has our food cravings covered. Lee Hersh is a fellow workout aficionado and yoga instructor who develops recipes with nutritionally sound (and mostly gluten-free) ingredients. And her enthusiasm is infectious. Just read her post on DIY almond butter, where she gushes about the specks of vanilla bean in the spread and ends with a rousing, "Real food rules." Right on. Healthy recipes in 30 minutes or less? Count us in. Erin, the blogger behind The Almond Eater, writes recipes and stays healthy by listening to her body. (Though she admits she does try to keep things on the healthier side, because if she always were to listen to her body, as she says, she'd "probably turn into a giant piece of cake." Amen, sister.) Try everything from her dreamy almond butter chia pudding to these super-quick, roasted lemon garlic Brussels sprouts. In 2012, Lexi was sick of feeling sick all the time. One year later, after revamping her diet and starting a regular exercise habit, Lexi's Clean Kitchen was born. While she doesn't adhere to one specific diet, many of her recipes are gluten-free, dairy-free, Paleo-friendly, refined sugar-free, soy-free, vegan, or vegetarian. Bonus: Each recipe is clearly labeled at the top, so you know exactly who can partake. Whether you eat Paleo, gluten-free, vegetarian, or none of the above, the recipes on this site will meet your dietary needs—and satisfy your palate. Impeccable taste aside, blogger Julia Mueller is also passionate about nutrition, which comes as no surprise when looking at her creations with a health-conscious microscope. And her photography is pretty impressive too! Scientist and nutritionist Marion Nestle, Ph.D., M.P.H., highlights important (and interesting) food news, like what the term "natural" means and conflicts of interest related to industry-sponsored research. Sure, politics is a prevalent theme, but Nestle hand-picks the good stuff and shares it in a way that's much more stimulating than the latest study release. Sign us up! 2015 was the year of Whole30, and if you're on board, the program's blog is packed with advice, including grocery-shopping tips and recipes, to help keep you on track. It also features success stories, as well as a column by co-founder Melissa Hartwig, who answers questions about navigating everything from anxiety to relationships during the 30-day program. Mark Bittman made headlines last year when he decided to leave his post as the New York Times's lead food columnist and co-found vegan start-up The Purple Carrot. He's the brains behind hundreds of healthy recipes, which are prominently featured on his site, along with excerpts from his previous column at theTimes. NPR is far more than an entertaining and informative collection of radio programs. Since being founded in 1970, it has expanded into a multimedia news organization and launched nearly two dozen enlightening blogs, including The Salt, which covers everything from weird food news to the latest culinary craze. If you're looking to subscribe to the crème-de-la-crème of fun food info, this is it. Cooking with olive oil is bad, and microwaves emit harmful radiation, right? Not exactly. Authority Nutrition not only debunks the junk, but is also a great source of nutritional information you won't find on many other sites—like how restricting too much sodium could harm you. The best part: Everything is science-backed and easy to understand; your eyes won't glaze over while reading complicated stats and medical jargon. Darya Rose is a neuroscientist and the blogger behind Summer Tomato. Her philosophy? Quit dieting and start cultivating healthy habits you actually enjoy. She writes about everything from ways to eat less without really noticing it to the controversy around juicing to what you need to know about willpower—all in an effort to help you establish a "healthstyle." 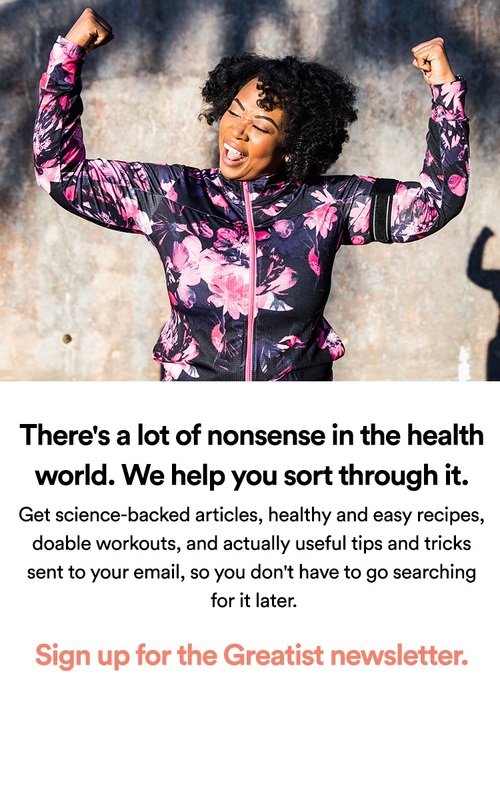 Examine.com is "an independent encyclopedia on supplementation and nutrition." 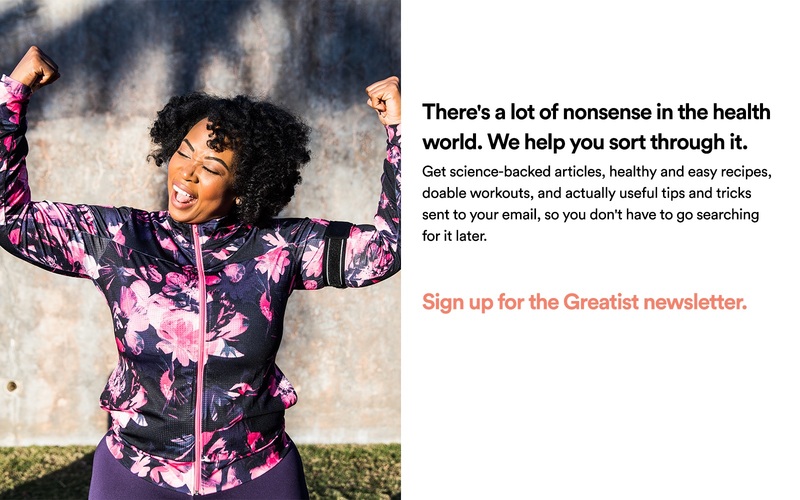 The site's refusal to advertise products or brands ensures an unbiased take, and a team of health professionals analyzes all the research before it's presented. The site's blog is no different, and actually covers much more than just supplements—from research on low-carb versus low-fat to what you need to know about the trans fat ban. Our only complaint? We wish they posted a little more often. Picture-perfect Nutrition Stripped is all about healthy living inspiration. Founder McKel Hill, R.D., M.S., blogs about everything from the post-workout window to the latest nutrition news to insightful interviews with food bloggers. Don't miss the Myths Stripped section, where she debunks common misconceptions like how eating carbs at night will make you gain weight. Consider the slew of delicious recipes a mouthwatering bonus.